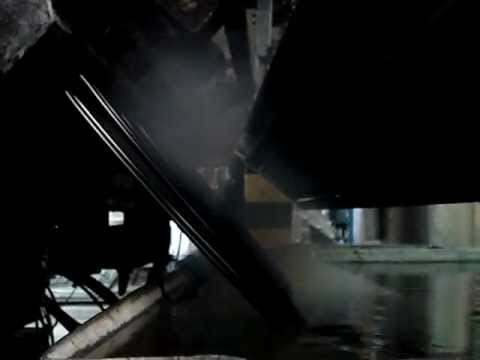 The extrusion process for plastics and toner creates its own unique challenges with heavy concentrations of hot vapors, aerosols and odors emitting from the dies, vent ports and drools. Similar emissions are generated in the extruder vacuum system. These emissions condense rapidly to form sticky, greasy solids and liquids and VOC’s that can pose major obstacles for system performance and environmental health and safety. JOA provides a range of proven solutions for effective control of vapor emissions of extrusion processes, by combining reliable vapor capture (ergonomic extraction hoods), with reduced fouling risk in the pipes (GCM™-V0crit modeling). Additionally fire detection and extinguishing systems are available to realize optimal safety. Control of the environmental exhaust emissions is handled by our robust low pressure drop JOA High Efficiency Automated Belt Filter JHF and Fixed Frame Filter JFF (filtering and removing sticky, oily or liquid aerosol particulates) and Activated Carbon Filters (absorbing VOC’s). Next to our standardized filtration technologies, unique, innovative equipment such as the Fiberglass Ballmaker™ and Vacuum System Pre-Separators, optimize the extruder up-time and reduces operational risks.